Canadians are celebrating their heritage all year long during a 150th birthday party with tributes to all things quintessentially Canadian. 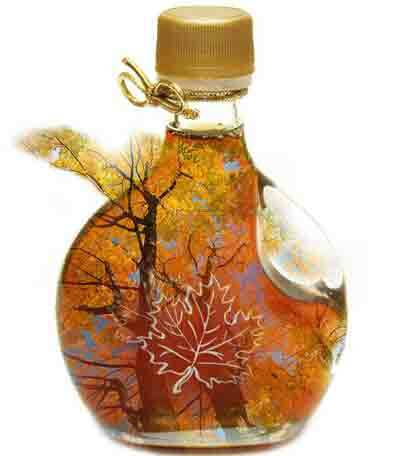 Maple syrup has been part of Canadian cuisine since before Canada was born in 1867. It was valued by Indigenous peoples who taught the first Europeans to tap trees. In 2017, maple syrup is still helping to define Canada's deep connection to its forests and the generations of families who have relied on them. Stone Maple Farms syrup is the first forest product not made of timber to be certified to the chain-of-custody standard of the independent, non-profit Sustainable Forestry Initiative (SFI). "When people see the label and ask 'what's SFI?,' it leads to a good conversation about how we source our syrup from a forest that is being well managed so future generations will be able to continue enjoying its benefits," Stone says.